Pencils do not serve only for writing. Of course, writing is their main purpose – writing a letter, notes, to-do lists, comments etc. But, when you take a look at the works by amazing artist Jasenko Djordjevic (who is coming from Bosnia and Herzegovina), you will see how tips of pencils may be transformed into beautiful pieces of art. 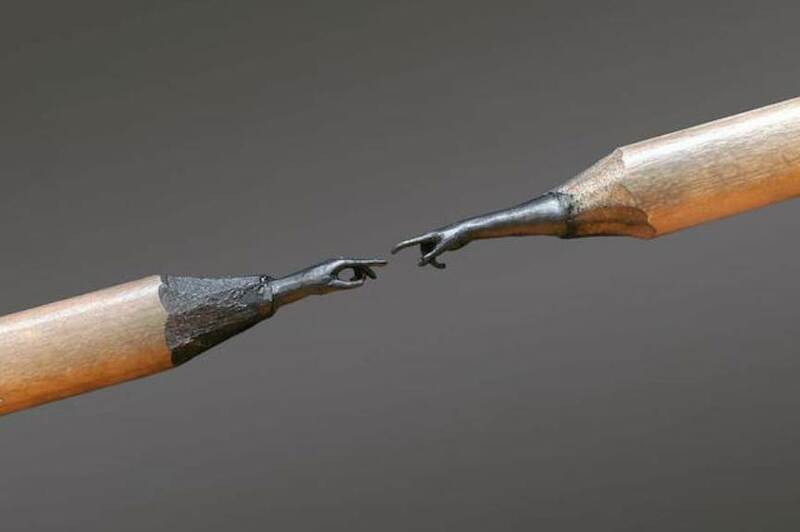 Pencil artworks by Bosnian sculptor are unique, and its originality enriches the contemporary sculpture practice. With small, perfectly shaped objects, Djordjevic makes extraordinary sculptures – perfect pieces of art. Jasenko Djordjevic has always been interested in working with unconventional materials. As a young Bosnian talent, he had already achieved recognition in his native country, and in his hometown – Tuzla. As every great talent, Jasenko Dordevic has been experimenting with different materials. 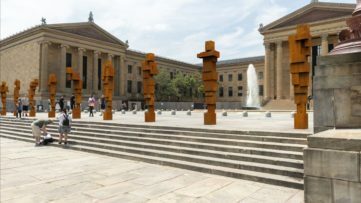 Art practices by many globally recognized masters are characterized by researching different ways of transforming unusual objects and materials into beautiful artworks (just to mention El Anatsui or Takashi Murakami). But, the originality of Djordjevic’s approach will certainly attract a lot of attention from art lovers. 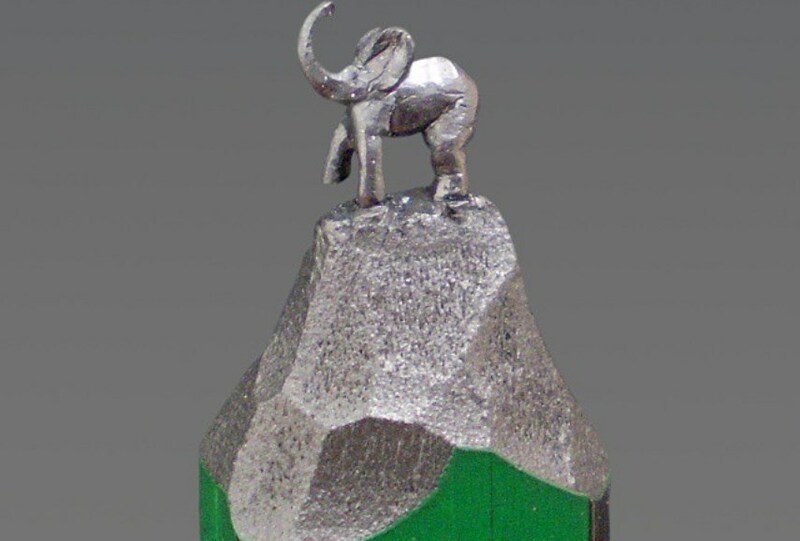 The artist’s favorite material is graphite – therefore, his small sculptures made with tips of pens is a logical continuation of artist’s previous practice. The artist’s process is quite unique (not surprisingly, since the very fact of creating sculptures from such a simple object is a unique endeavor). 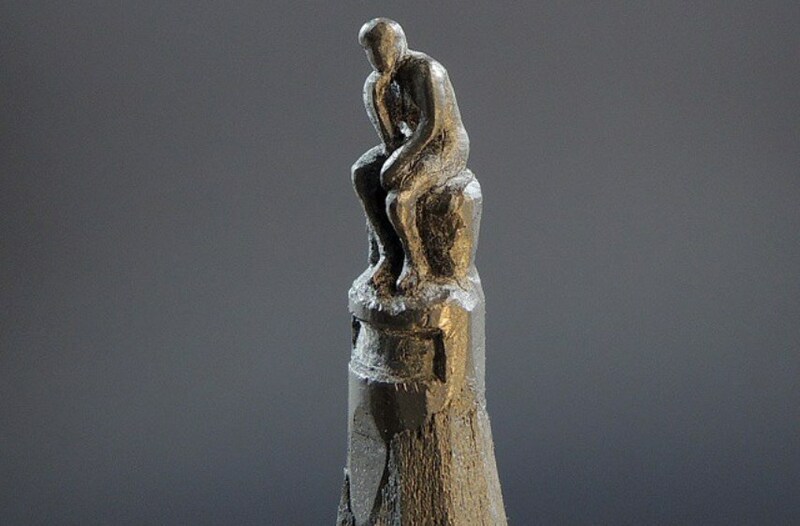 Dordevic uses an X-Acto knife and a tiny chisel for creating small sculptures. 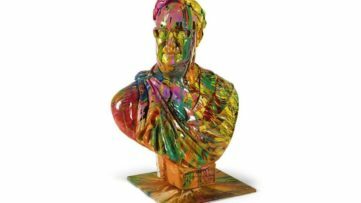 Being always interested in objects made from stone or charred wood, he was first inspired by US-based sculptor Dalton Ghetti. When Djordjevic saw Ghetti’s works, he began working with pencil tips. Djordjevic usually depicts subjects like animals, flowers, birds, towers or portraits. 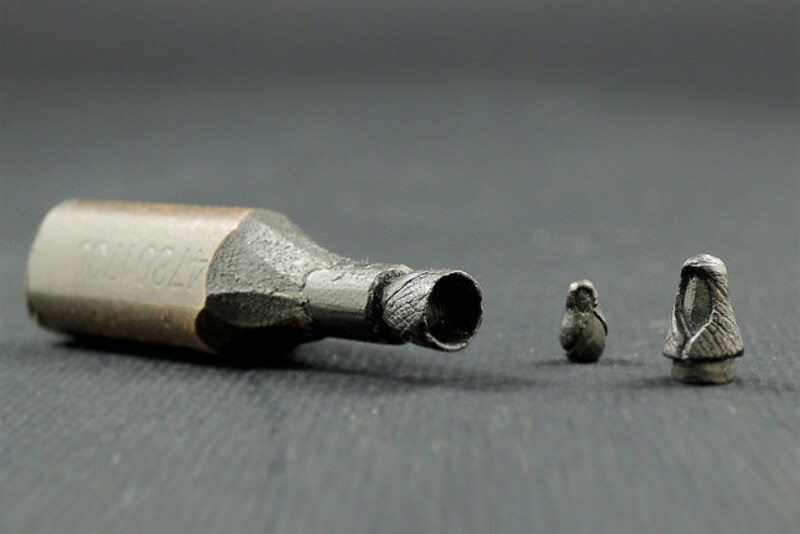 He sometimes even carves tiny words into the thin stick of graphite. 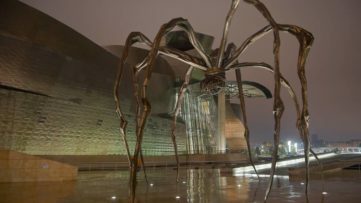 Since graphite resembles a dark, hard stone, a viewer might never know that the sculpture is composed of a simple object. Jasenko Djordjevic has always been interested in creating tiny beautiful objects, with amazing details. In 2007, he applied for entry in the Guinness World Records book with an origami boat made from a piece of paper measuring only 1.5×2.5 millimeters (although the boat itself measured only 1.2x1x0.7 millimeters). Unfortunately, he could not participate at the competition, since there wasn’t a category for Djordjevic’s piece. 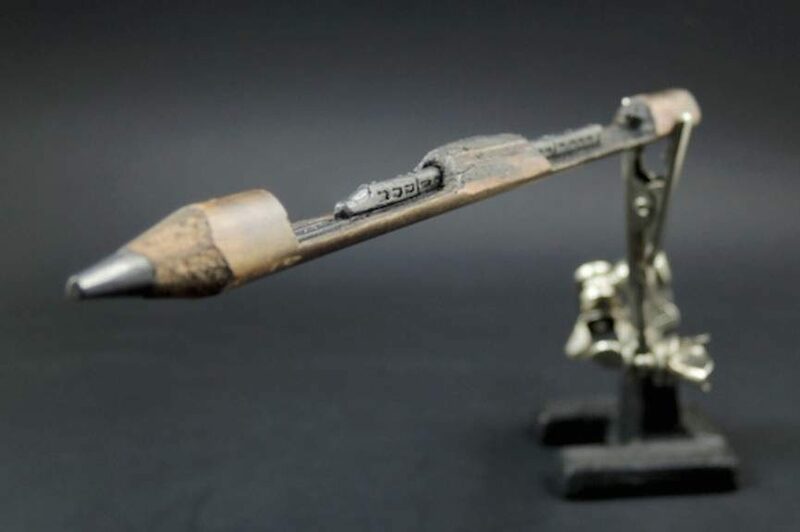 However, this amazing Bosnian artist has continued with his great art practice of creating beautiful tiny sculptures – this time made from tips of pencils. Do you like the art of Jasenko Djordjevic? Please share your opinion on our Facebook page! For more news from the world of art, sign up for My Widewalls for FREE! All Images courtesy of mymodernmet.com . They are used for illustrative purposes only.